We gather together on Sundays and scatter throughout our region in City Groups throughout the week. We gather on Sundays to celebrate Jesus, delight in his Word, worship Him together, and remember the Lord’s Supper and baptism. 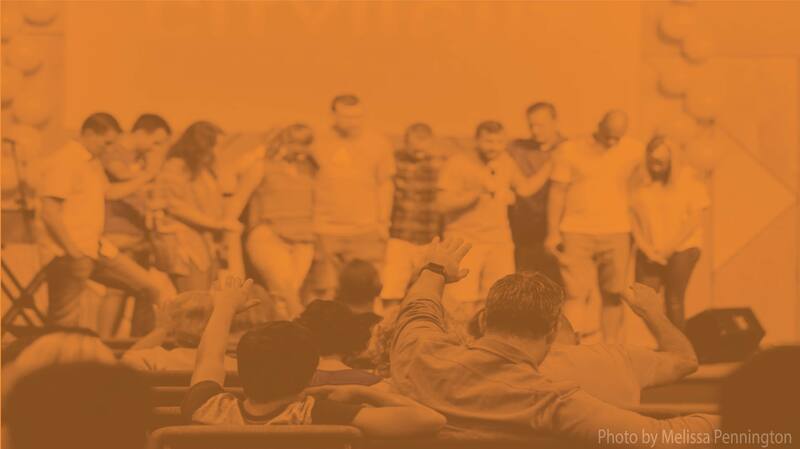 Our Sunday gatherings serve the broader mission of multiplying disciples and churches. Citylight Kids is available for ages 8 weeks through 5th grade, offering age-appropriate discipleship, but children are always welcome to join us in our worship gatherings any Sunday! We scatter throughout the week in City Groups - the heart of our church. A City Group is a small- to mid-sized community of people growing in the Gospel, studying the Bible, connecting as family, and serving a specific neighborhood or network in the region. These groups are small enough to care for each other’s growth in Christ, but big enough to make a difference in the culture around them. The gospel is the good news that God came down to us in his Son, Jesus, to defeat sin and death and their effects in our world. Through his life, death, and resurrection, Jesus has initiated and accomplished what we never could. He has overcome the penalty and power of sin and brought us into intimate relationship with God the Father. The gospel is the power for personal salvation and transformation as well as the renewal of neighborhoods, cities, and nations. We have all been formed into a certain kind of person. The gospel doesn't just to save us from hell, but forms us into the image of Jesus (Gal. 4:19). The gospel isn't only the ABCs of following Jesus, but the A to Z - influencing every part of our lives and transforming us from the inside out to be more like Jesus. We're committed to being a church that challenges people to personal repentance and faith in Jesus for a changed and transformed life. The church is not a place but a people. It’s not just a weekly assembly of individuals, but a community committed to loving each other well and doing life together. Therefore we don't only invite people to discover a Savior to believe in, but also a family to belong to! God is calling a people to Himself, building them into a family, and filling them with love for one another. The church is God’s missionary agency, God's mission strategy to reach the world with the good news of Jesus Christ! Therefore, “missions” is not one ministry within our church, but the very DNA of our church. The same gospel that transforms us also sends us outward on mission. We exist as a church on mission to be “a city on a hill” and “the light of the world” (Matt. 5:14). We do this by orienting each of our City Groups around a shared mission – seeking to love, serve, and make disciples among neighborhoods and networks of people in Council Bluffs and the Southwest Iowa region.